Tirupati City Guide, Travel Attractions of Tirupati, Fairs and Festivals of Tirupati, Cultural Tourism In Tirupati : Cultural Heritage India. 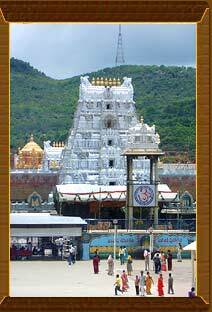 Tirupati literally means Husband or Lord of Maha Lakshmi, the goddess of wealth. The place is known for its spiritual ennoblement and for the various ornamental temples it possesses, with a distinguishing and eye-catching architecture. Location : Tirupati is in Chittoor district, located to the south Andhra Pradesh. It is at a distance of around 550 km from the state capital Hyderabad, 140 km from Chennai and 247 km from Bangalore. Climate : Tropical climate prevails in the city with mercury touching 45 degree Celsius during the summer months (March to June), though winters (November to February) are pleasant. The months of July-August experience heavy rainfall and are not advisable for a tour. Known For : Lord Balaji or Lord Venkateshwara Temple. Best Time for Visit : October to February. Tirupati Balaji Temple :The status of being the most visited temple of India and the richest temple in the world, because of the donations paid by the devotees, is bestowed upon the Tirupati temple since years. It is devoted to Lord Venkateswara, the Lord of seven hills and is situated on Tirumala Hill at a height of 2800 ft, in Chittoor district, which makes it harder to reach the temple. The Dravidian architecture style gives a sneak-peak to the glorious past of the state, to the travelers. Sri Govindrajaswamy Temple : Devoted to Lord Krishna, another incarnation of Lord Vishnu, it was anointed by Saint Ramanujacharya in the 12th Century. The temple also has several other small temples of other Gods and Goddesses, within its confines. Tiruchanur :Another place famous in Tirupati is Tiruchanur, known as the home of Godess Padmavathi or Lakshmi, the wife of Lord Venkateswara. 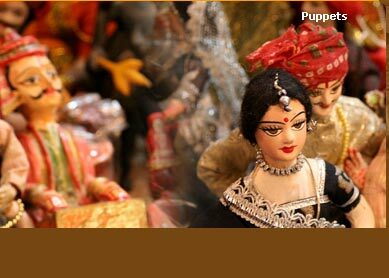 It is said that visit to the famous Tirupati Balaji is incomplete without a visit to the temple of Sri Padmavati. The place also has several other temples of Dravidian style which include the Sri Krishnaswami temple. Sri Kapileswaraswami Temple :It is the only temple dedicated to Lord Shiva, the God of destruction, and is in the Tirumala Hills. It is adorned by a waterfall known as the Alwar Tirtha and showcases stunning architecture. Sri Kalyana Venkateswara Temple : Situated on Tirupati-Mandanapalli Road, at a distance of 12km from Tirupati, the temple is devoted to Sri Kalyana Venkateswara Swami. It is believed that Lord Venkateswara rested at this place for six months before leaving for Tirupati. Sri Venkateswara National Park :Due to its close proximity to the holy town Tirupati, which is around 10 km, and due to the multitude of flora and fauna preserved within its periphery, the Venkateswara National Park is one of the most visited national parks. The absolutely stunning scene of the countryside adds to the beauty of the mixed vegetation of around 1500 species of plants including Sandalwood, Red Sanders, Gymnosperm, etc. One can also witness a variety of wild species of animals too including Black Buck, Rare Golden Gecko, Sloth Bear, Panther, Tiger, Spotted Deer and many more. The scenic landscape with translucent waterfalls encircled by splendid hills and valleys, makes it an ideal recreation spot. Brahmotsavam :Though many pujas and religious festivals take place in Tirupati, Brahmotsava is the main festival observed in the Tirupati Balaji temple, with devotees in huge numbers come from acreoss the sees to celebrate the nine-day festival and take the blessings of Lord Venkateswara. The festival is celebrated in the month of September, which also includes many rituals including Rathotavam that takes place on the sixth day. Incase you are interested in collecting artifacts and handicrafts, this temple town of Tirupati offers some amazing collectibles exhibiting the handicraft skills. 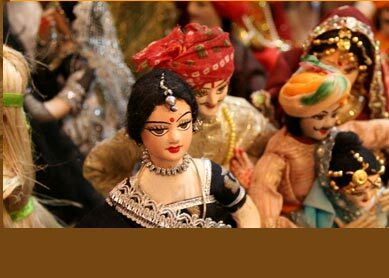 You can shop for interesting idols of Gods and Godesses in metal, mud and wood, wooden toys, handicrafts, decorative items with the South Indian flavor, gold-leaf paintings, cassettes of hymns and prayers and many other such small and big items as a souvenir. Air : For the nearest airport, you need to travel 15 km from the main city centre to Renigunta. Flights from this Airport connects Tirupati to metropolitan cities Hyderabad, Bangalore and Chennai. Rail : Tirupati Railway Station connects the place with major cities like Mumbai, Chennai, Kolkotta, Hyderabad, etc. Road : A good network of roads connect the place to major sites in and around Tirupati and also to far-flung places by Ac buses, taxis, rickshaws, etc.